THERE was a time when Sekolah Seri Puteri, Cyberjaya English teacher Dr Adzuhaidah M. Taha had to lug a heavy laptop to her classes along with a long adapter wire to connect it to the projector in the room. It was either that or vie with the other teachers in booking the computer laboratory for her lessons. Things have become much easier and simpler for teachers and students since 2014 when the school management adopted the “bring your own device” concept. With the implementation of the concept, teachers and students use Apple’s iPad as their primary tool in the teaching and learning process in school. So now, Adzuhaidah, warmly called Ms Adzu by her students, carries her iPad to all her classes. There is no need for her to bring along any wires as the Apple TV is available in class and she simply has to wirelessly connect her iPad to it. Students carry out self-access learning using the iPad. “iPad use at the school has been an eyeopener and an innovative way to teach students. Prior to its use, I used more of PowerPoint software, the chalk-and-talk method and other traditional ways of teaching,” she said. “Through its use, I have become more creative in my teaching methods using Apple’s Pages, Keynote, iMovie and other software programmes and applications,” she added. After practising four years of innovative teaching and learning using Apple technology, Sekolah Seri Puteri became the second Sekolah Berasrama Penuh, or fully residential school, and the seventh school in the country to be awarded the Apple Distinguished School status. At an event late last year, the school received the award from Apple, along with recognition for 29 iChampion teachers and 60 Tech Leaders chosen from every batch of students to assist the others in transitioning to full use of Apple technology. Nur Fatihah Mohamad Rizal of Form 5 Elit, one of the appointed Tech Leaders, said: “The status puts our school on a different level and I am still amazed at the recognition. She added that Apple technology also makes communication between teachers and students easier especially if the teacher is not in school due to other work commitments. The same goes for students who submit assignments using the iTunes app. “Teachers can highlight the assignment and comment on it, and students can make corrections without even meeting the teacher. Discussion and research can be done online too,” said Madihah Nabila. So what does it take to be recognised as an Apple Distinguished School? The road to becoming such a school is a long and arduous journey. Since Sekolah Seri Puteri embarked on the programme four years ago, it had needed to be continuously innovative in its approach to teaching and moulding students to become future global leaders. To this end, the iPad has proven to be a great tool in transforming the teaching and learning process as well as in assisting students in their co-curricular activities. 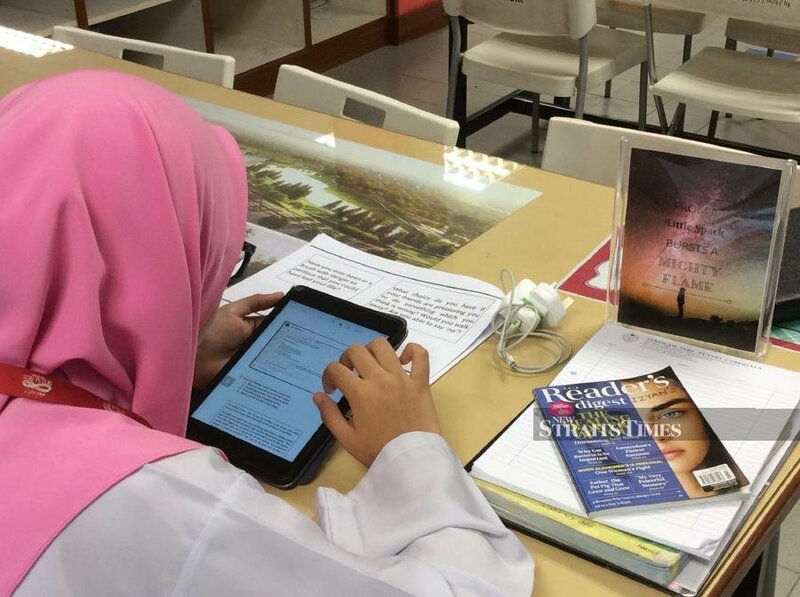 “Using the iPads has become secondhand nature to the students after a while,” said Adzuhaidah. The use of iPads has also given more students the opportunity to play music. For instance, they use the Garageband App to compose music and perform at events in and out of the country. Students learn to code using the Swift Playground App, a vital skill in today’s digital world. They also use the apps in the iPad to assist in robotics competitions. For projects such as i-Garden, students scan the QR code to get information on plants in the school garden. For project o-Quip, students access past year exam questions and answer them online interactively. These apps naturally help to promote self-access learning in students. Other than that, the Fitivity app enables the basketball team, SCUD, to learn techniques of playing the game, while the iPad is used to record their games and helps them to improve on their performance. Students from the SCUD basketball team using the Fitivity app to analyse their performance and technique in the game. To enhance student learning, the iPad offers the use of augmented reality technology when learning science subjects. Making objects and experiments come to life makes it easier to understand concepts. Students record the process and progress of their science project via STREAM in iTunes U. Here, teachers can access their work and monitor their progress. Teachers store their teaching materials in iTunes U. Assignments can be given to the students if the teachers are not in school. Last year, the students showcased their work that made use of augmented reality and multiple 3D modelling at the Digital Maker Fair. Adzuhaidah said that the “bring your own device” programme has had a positive impact on both teachers and students. Parents are also excited about the programme. As not all parents can afford to equip their children with an iPad, the school has 180 devices available for loan. Some PUTERI alumni members of the school also help poor students to buy iPads. Zuraini Mohd Zain, whose daughter Zuhayra Ermyna Izehari is in 2 Pintar, said: “To be able to enrol my daughter into an Apple Distinguished School is a dream come true. “Through various learning techniques using the iPad, I witnessed how this ‘magical’ tool helps students to reflect, be team players and develop problem-solving skills. WHEN I read about the ‘failings’ of the Malaysian education system, I strongly wanted to rebut with a ‘No’. My school years were my best learning experience. I do know a few things about learning experience because developing learning experience is what I do for a living in the United Kingdom. I have designed courses for clients such as the UK Ministry of Justice, analysed learning gaps for a top UK car company, trained an international non-governmental organisation, as well as developed compliance courses for the UK authorities. Learning experience is the most important aspect in education. Whichever pedagogic and andragogic approaches we choose, the key is learning experience. I think it is connected with stimulating the “happy ” chemicals in the brain — endorphins, dopamine, serotonin and oxytocin. My best learning as a child was in Malaysia. When I reflect on the learning experience of my children in the UK, I can sincerely say that their learning experience could not match mine. Yes, they have more opportunities in the UK. They went on field trips organised by the schools. They visited Spain, Switzerland and France. They have state-of-the-art equipment, dedicated and knowledgeable teachers, and nice lunches, too. They have meetups and parties with their friends. learning experience, it is “benign”. Where is that supremely important, energy-bursting sense of adventure? I know that things have changed. School environments have changed. People and policies have changed. However, what child or adult doesn’t like a sense of adventure? My primary and secondary schools were a sanctuary where dreams were created, friendships fostered, ideas implemented and arguments lost with friends. In this world, teachers were bystanders. As long as we didn’t burn the school down, they were fine. We spent more than 10 hours there, even on Saturdays. We owned our school. We raised funds through food sale to visit Penang and Pulau Pangkor. We collected funds to paint our classrooms and we did not even think of getting permission. We just turned up on a Saturday morning with buckets of paint. We listened to our head teacher, who taught us the most ludicrous way to swear (we were teenagers, you see) and for years, my colleagues were perplexed when I kept muttering shoes, shoes, shoes! And, that freedom starts with the recognition of children’s right to education, trickling down to national legislation, shaping policies and guiding organisations (schools, colleges, nurseries, universities and the ministry ) in setting up their governance, functions and technical measures. Despite the changing learning environments, one aspect of my learning remains to this day: freedom. From freedom (we were free to paint our classes and organise events and trips) came empowerment (we raised funds and collaborated with other schools), and from empowerment we created (yes, we not the teachers or schools) our own learning experience and that experience became our foundation to be who and what we are today. We are ordinary people. Are we millionaires? Chiefs of this and that? Prominent people? I suspect many of my friends are like me, ordinary people. But the impact of fabulous early learning experience created an insatiable desire to learn — after completing my PhD in law, I ventured into project management, policy development, research, and human rights consultancy. AS one of the core pillars in any academic institution, teachers around the world have the heavy and important task of ensuring each and every student achieves his or her full potential and become a reliable, independent person in the future. Being a teacher is no walk in the park. This is why we celebrate Teacher’s Day, to show our love and appreciation to the teachers for all their hard work and tireless dedication over the years. As part of their effort to recognise and appreciate the role that teachers play in guiding and nurturing our younger generation, McDonald’s Malaysia introduced Anugerah Guru Inspirasi (AGI) in 2017, in conjunction with the annual Teacher’s Day celebration on 16 May every year. In its second edition, McDonald’s AGI 2018 awarded 25 teachers with the most inspiring achievements, following the overwhelming response from the public with more than 3,000 nominations received this year compared to 1,000 nominations and six teachers winning in 2017. In McDonald’s AGI 2018, at least one teacher from each state was honoured. Each of the 25 winners received RM5,000, a trophy, sash and certificate of recognition at a ceremony held at their respective schools in conjunction with this year’s Teacher’s Day celebrations. Nominators, mostly students, were also acknowledged for their contribution with RM200 worth of McDonald’s gift certificates. The criteria for AGI 2018 included improving the academic performance of students, employing innovative and out-of-the-box teaching methods, going beyond the call of duty to assist students, and the impact the teacher has on students. “Teaching is not an easy profession. On some days, it gets a bit tough, but I’ve always told myself to have a positive mind. 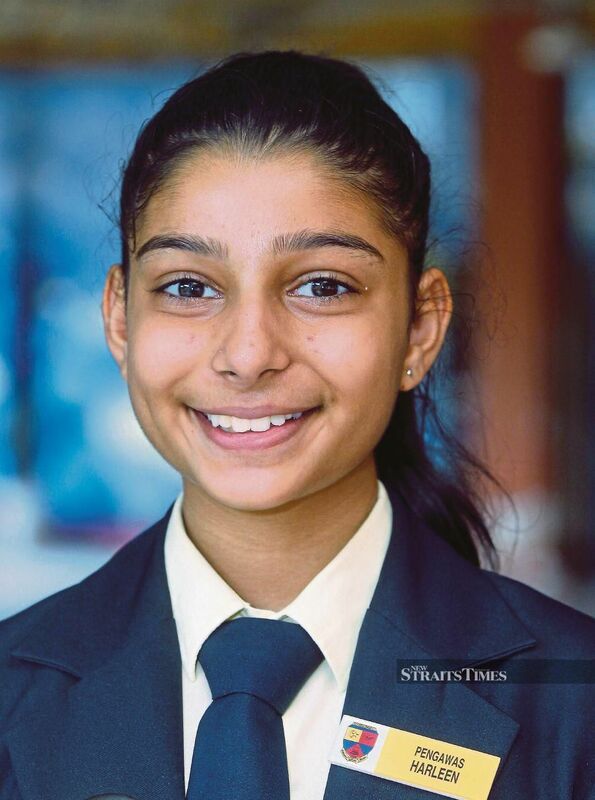 I have a lot of love and respect for my students which always makes me go the extra mile for them,” says S. Sivasamy who is one of the McDonald’s AGI winners this year. “Whenever I feel a little tired or demotivated, it helps to lighten the mood by playing some games or joke with my students. 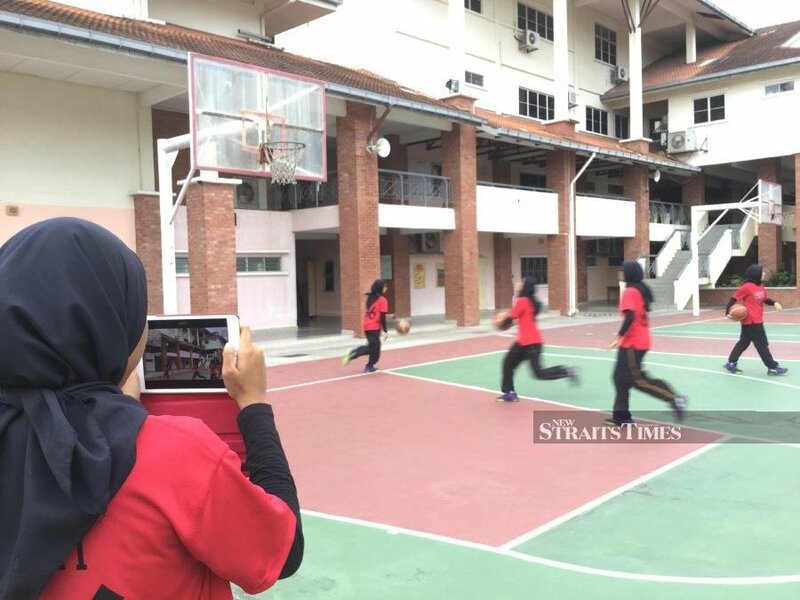 It shows them that there’s always time to play and to study,” says the Science teacher at SMK Pantai Sepang Putra, Selangor. “These days, it’s understandable that it’s hard to pay attention in class which is why I motivate them with love and explain the importance of education for their future. It is without a doubt that all teachers have encountered at least a few students with disciplinary issues, but I overcame them by caring for them as if they are a member of my family. “Throughout my career, I have seen my students become successful individuals in their life. Although they have left school, they still stay in touch. I treat them like my own children,” says Sivasamy who has been a teacher for 14 years now. Schools have qualified counsellors who identify students with problems and provide them with the advice and guidance they need. Teachers themselves will admit that in the eyes of their students, especially the younger ones, their roles are pretty important and in certain situations even more significant than their parents. ALTHOUGH our teaching contexts or settings are not similar, whenever we hear news of something major that has happened involving any student or teacher, it impacts us all in some way. In different ways and in varying degrees, we are all affected when we hear of school-related incidents that result in teachers or students choosing to end their own lives. Even when we are so far removed from the event and even when considerable time has passed, there remains an uneasy feeling that we can’t shake off. We remember hearing other stories, knowing other incidents and whisper little things about them to each other or to ourselves. One question lingers in the air, however, even when everything is over, when the jury whether real or imagined, has made its decisions and “guilty” verdicts have been proclaimed. “Whose fault is it?” We have often heard that question in other contexts. It is a rhetorical question, which is spoken aloud sometimes when nobody knows the answer, when there are too many answers or when the answer is too terrifying to be voiced. There were similar incidents in the past that may have happened to our own students or young people we know. We recall the ones who chose to end their lives because they felt they had failed to live up to the standards expected of them, for examination failures, for a broken relationship, for heartbreaks or disappointments that loomed so large and were so black that any light of reasoning or chances of viewing things from the right perspectives were blocked out. Perhaps these were from a class we didn’t teach, perhaps they were not the ones whose names rang out during prize-giving ceremonies. Perhaps they were not on the discipline master’s list, infamous for their discipline records nor the ones who were constantly hauled up for misconduct. Rather they were the ones we labelled “average”, somewhere in the middle, whose faces blended into the mass of blue, white or green uniforms during school assemblies. They were part of the line that marched in single file to their classrooms, their voices part of a chorus that chanted “Selamat Pagi Cikgu” (Good Morning Teacher) each morning. Could any of these children come from seriously dysfunctional homes, could there be among those blue, grey, green uniforms someone who is subjected to daily abuse? Could any of them be exploited or deprived of their basic rights in some way? The possibility hangs like a vagrant cloud, over the entire student population. But then again, there may be nothing perceptible, nothing at all to indicate whatever horrors that may lie beneath the surface of the outward normalcy, the everyday routine of school-life. Besides, we do have counselling programmes in our schools with counsellors who are qualified for the task of identifying students with problems and providing them with the advice and guidance they need. Our school counselling rooms are open to any student who needs to be heard. There are specially organised programmes to address a range of growing-up problems, individual and group counselling sessions, talks, seminars and follow-up with relevant organisations if necessary. We have also our class teachers who have more accessibility to information on the backgrounds of students in their own classes and more opportunities to meet the parents or guardians of their students if necessary. Still, in the midst of so many school-related duties that they have been assigned, it is often an uphill task to constantly have more than cursory contact or keep track of the performances and behaviour of every student in their class. Maybe we can’t all always have a deeper knowledge about the students we teach. With all the teaching duties and deadlines that preoccupy us, there is not enough time in the world to know every student we teach, listen to their problems or what they dream about. But teachers themselves will admit that in the eyes of their students, especially the younger ones, their roles are pretty important and in certain situations even more significant than parents. And yet we often do not have the time to reflect on how significantly important our roles are in the lives of these, our students. Our focus on being the facilitators of learning and the ones who progress and implement the curriculum often deflects us from the truth that at the very heart of education is the child himself, a person with potential, vulnerabilities, and naiveté with the need for security and to be considered important as a person. KUALA LUMPUR: SJK(T) Ladang Edinburgh in Taman Bukit Maluri is the first Tamil school in the country to fully involve teachers, students and parents in utilising the Frog Virtual Learning Environment (VLE) platform as a primary tool for teaching and learning. This strong and proactive support from parents and teachers served as a catalyst for the adoption of the programme under the 1BestariNet initiative. 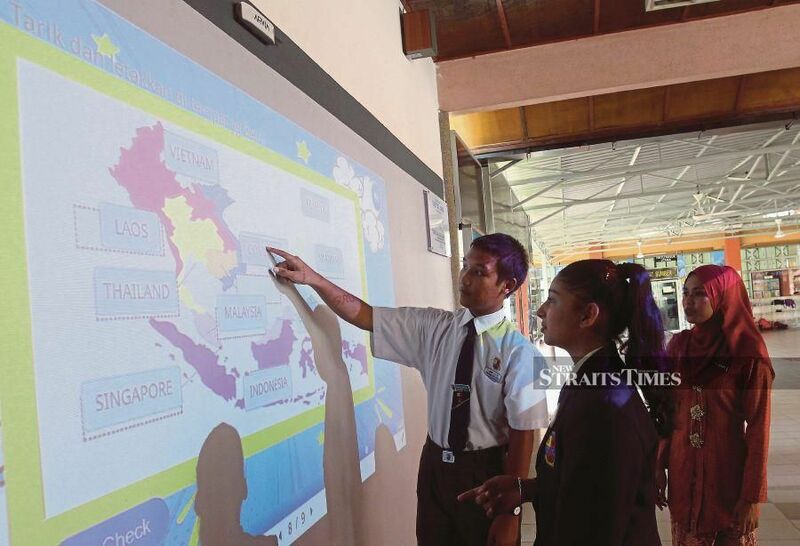 The 1BestariNet project is an effort by the Education Ministry to connect schools across Malaysia to the Internet. YTL Communications Sdn Bhd provides YES 4G connectivity, which enables schools to benefit from the Frog VLE platform by FrogAsia Sdn Bhd. This leap in learning culture is in line with the seventh shift under the Malaysian Education Blueprint 2013-2025, which aspires to utilise information and communications technology (ICT) to improve the quality of education. Headmistress Theresa Ayyakkannu said in March last year, the parent-teacher association (PTA) had an annual-general meeting which included a brainstorming session on the new technology. “The intention to join the transformation in learning was well-received by parents. Our school has 309 pupils with 25 teachers. Our teachers are young, aged 35 and below,” she said. Theresa said many parents and pupils were excited to embrace the new age of learning. Frog VLE teacher Muhammad Amirul Syafiq Md Yusof at the Frog Classroom. She said by using the Frog VLE, the school had also moved towards the digital community and gone paperless, including replacing notices and circulars to parents with online announcements at the school’s very own Frog VLE portal. Theresa said by going towards the digital path, the school had also managed to record a consistently high Frog VLE login. “For example, during the weekly evaluation, our school achieved the top 10 rankings for Frog VLE logins among schools at the national level,” she said. The school was also selected to have a YTL Foundation Frog Classroom makeover that was launched by Deputy Education Minister Datuk P. Kamalanathan on March 16. Besides that, the school was also selected to be in the pilot project for the usage of Altitude smartphones by Yes 4G among teachers. To aid in learning, she said the school received 41 Chrome Books from the government. Theresa said with the overwhelming response to this technology, other schools had come to learn from SJK(T) Ladang Edinburgh. She said 21st century learning had allowed for better time management for both teachers and pupils. As a science teacher, Theresa is also a tech wizard herself, and leads by example to inspire all teachers to use the Frog VLE. “Teachers can prepare the teaching materials on-the-go and students will have their time filled with learning activities, even during school holidays or after the syllabus has been completed,” she said. For example, the school is part of the smart collaboration in learning and facilitating of Year Six pupils for activities post-Ujian Pencapaian Sekolah Rendah among selected schools nationwide. “The pupils are learning in fun ways by answering various questions in Kahoot! and Quizizz involving 2,000 pupils at the same time,” she said. Theresa said the pupils were further exposed to the usage of technology by utilising Google Slides, Google Sites, Google Sheets and Google Drawings among others. For example, they use Google Maps to explore places of interests. 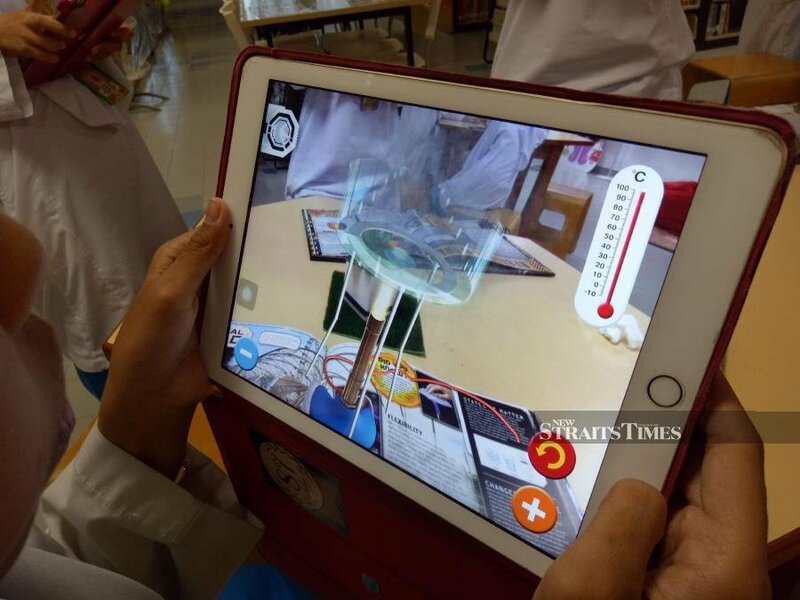 A Frog VLE teacher, Muhammad Amirul Syafiq Md Yusof said the Frog VLE had shifted the role of teachers to that of a facilitator, thus encouraging independent learning. “At the Frog Classroom, each subject teacher has to use the classroom at least once a week for a 30-minute lesson,” he said. Amirul said the students were seated facing each other at the Frog classroom, with its curved tables, creating an environment for teamwork to thrive. 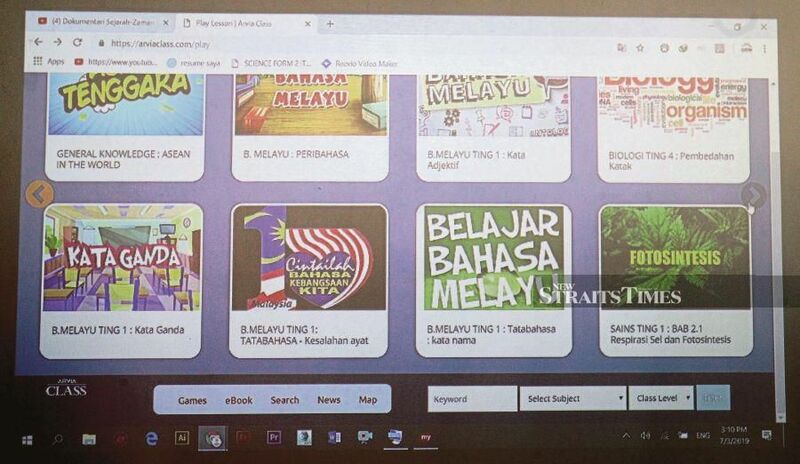 “The teachers can prepare the material beforehand, and upload it to Frog VLE portal where students can gain access to it,” he said. He said pupils could give explanation about the subject, thus building their sense of confidence in public speaking. Amirul said the Frog VLE also promoted a spirit of continuous learning as the students could do online revision via FrogPlay. “Upon completion of the revision, the pupils will unlock a game. With this technology, students can learn and play at the same time,” he said. He said with Frog VLE, teachers had a large pool of resources as they could also view the content shared by other schools for learning purposes. Pupils enjoying their lessons at the Frog Classroom. With them are headmistress Theresa Ayyakkannu (second from left), Frog VLE teacher Muhammad Amirul Syafiq Md Yusof (fourth from left) and ICT teacher Valaiyabathi Shanmugam (second from right). An ICT teacher, Valaiyabathi Shanmugam said prior to implementing the Frog VLE, he was selected to be part of Frog Teacher Advocate programme. “We were given training and exposure on the Frog VLE,” he said. He said by using the programme, the school was fully in charge of the content that it wanted to share with the public or only among the school community. He said the Frog VLE made it easier for teachers to carry out their work, such as assignments for homework via the YES 4G phones given to the teachers. “We can use the Frog Assignment to give homework specific to each class. Students can also upload their homework online, making it easier for marking purposes,” he said. Valaiyabathi said by doing this, parents were well informed on their children’s homework. SONGS are a wonderful resource for teachers to teach English or any other language. Language teachers can use songs as part of their classroom teaching repertoire. Songs contain authentic language, are easily obtainable, provide vocabulary, grammar and cultural aspects and are fun for the students. Songs provide valuable speaking, listening and language practice in and out of the classroom. Songs contain authentic, natural language and it is a wonderful getaway from the language found in text books. Some may argue that most songs contain overly crude, foul and objectionable language. However, with careful screening and editing, an extensive library of usable songs for language learning can be compiled. Songs are almost always directed to the native-speaking population so they usually contain contemporary vocabulary, useful phrases, idioms and expressions. Grammar and cultural aspects can be introduced through songs. Songs are very easily obtainable through the Internet and you can download the lyrics and the song videos with the lyrics. Songs can be selected to suit the needs and interests of the students. There are so many songs available with suitable themes, levels and vocabulary. Song lyrics can be used in relating to situations of the world around us. Songs have been used as vehicles to expound on pollution, crime, war and almost every social theme or cause. Michael Jackson’s “Earth Song” is a powerful song that deals with the destruction of the earth by man’s greed through deforestation, killing fields, pollution and animal poaching. Some songs have a recurring theme or story. Eric Clapton’s classic “No More Tears In Heaven” written after his four-year old son’s death deals with life, death and heaven. The singer finds solace in the lines that his son is at peace. There is no fixed format to teach songs but it can follow the Presentation – Practice – Production format used in the language classroom. Before introducing the song or the lyrics of the song to the students, the teacher can introduce and explain difficult words, expressions or idioms found in the song to the students. After that the teacher can give the students a worksheet with the lyrics of the song but with some words missing from the lyrics. Then the teacher can play the song while the students fill in the gaps in the worksheet. The teacher then presents the lyrics of the song on the board or on the LCD and explains each line to the students. The teacher, depending on the level of the students can have a few comprehension exercises on the lyrics of the songs. The students can answer some questions on the lyrics of the song. The teacher can ask higher order thinking skills questions on the theme or cause of the song. Finally in the production stage, the teacher can do a number of activities to enhance the creativity of students. The students in groups can design an album cover for the song. The students in pairs can translate the lyrics to Bahasa Malaysia. AN innovator at heart, Heriot-Watt University Malaysia assistant professor Mohanaraj Balakrishnan believes innovating education is the way forward. “Everything is changing, so how can teaching be the same? “If you don’t innovate, it will come to a point where your students will just learn online and not show up for class because there is no added value to your teaching,” said Mohanaraj, a Chemistry lecturer in the varsity’s foundation programme. The enthusiastic lecturer said he believes in a term called “teachologist” — a teaching methodology that incorporates technology into teaching. He conducts virtual lessons for his classes and develops videos using screen capturing software, which he subsequently uploads on YouTube and the university’s virtual learning environment. “These videos are for students to revisit at home. “Within Chemistry, I developed a sub module for students to learn independently. As a British university, one of our main focus is on independent learning. “Students will independently decide how and when they want to sit for the assessments and how they want to progress as every student has their own way and speed of learning,” he said, adding that the idea is for students to complete the module before the semester ends. Through this module known as personalised learning, Mohanaraj develops ways of teaching that will address each student as effectively as possible. “There are also checkpoints in this module where they can meet me to get help if they are struggling. “Incorporating independent learning gives students an amount of freedom in deciding how they want to learn the particular module, rather than the lecturers deciding for them. “Feedback I received from students was that like the fact that they are in charge of their learning and they feel more responsible,” he added. Mohanaraj said the aim behind this is to focus on learners. Another project he developed, which was subsequently incorporated into other courses, is the gamification of lecture reflection. “After our lesson, we will use a tool called “kahoot” which gamifies the lecture reflection. “It is important for students to be able to reflect on how much they have learnt,” he said. Mohanaraj said it is also important for lecturers to reflect on the effectiveness of their lesson delivery and if they have covered their topics well. He said lecturers and students will be able to detect their progress on the tool. “It is fun and students become competitive because it is a game. It generates an excel sheet that shows every individual student’s score on every question they have answered. “As a lecturer, we will be able to analyse the overall performance for each question, which reflects back on the learning outcome,” he shared. Mohanaraj tries out his innovative ideas during his lessons for at least a semester, followed by conducting a survey to assess his students’ feedback on the effectiveness of his new teaching methodology. He said if the response is positive, he subsequently discusses the idea in an academic forum with the other lecturers. “At the forum, we share our ideas with each other and students’ feedback on it. “This year, I plan to create an online guidance for students on some of the more complex problems they solve in chemistry,” he added. Mohanaraj said sometimes, half of the class are not be able to grasp the knowledge of solving problems then and there. By uploading videos on these areas in Chemistry on YouTube and the varsity’s virtual learning environment, students are able to pause, slow down and replay the videos. “Some of the feedback I received was that they viewed the video several times. “Eventually, their performance improved!” he said. The ambitious lecturer said he plans to personalise lectures in the future, in a way that caters to different styles of learning. “The underlying goal is to cater to different styles of learning and to support students who learn at different paces in the best way possible,” he said. THE success of a fun learning initiative by a private company to help students at vernacular schools, has been recognised by the Education Ministry, which is now collaborating to improve the programme. A total of 22 volunteers from the Institute of Teacher Education, International Languages Campus (IPGKBA) have teamed up with staff from Rimbun Capital Sdn Bhd to help students in Klang Valley schools improve their English, Bahasa Malaysia and Mathematics. Besides being able to help those selected for the programme, he said, the volunteers from IPGKBA received on site training during the REP, which runs for three hours on Saturdays. “We are also helping the REP improve their teaching modules based on 21st century learning,” he said. REP started with just 100 students from four schools in 2015, which increased to 138 students from six schools last year. This year, 250 11-year-olds from 10 schools have been selected for the programme. Rimbun Capital managing principal Datuk Raveendra Kumar Nathan said REP had evolved with the support of the Education Ministry and IPGKBA. Previously, the REP relied on law or accountancy undergraduates to facilitate the programme but, he said, this was not ideal because teaching was not their career path. This year, REP had also introduced a mentor system, where four weaker students are teamed up with an average student from the same school. “These mentors and mentees will be able to see each other everyday. The weaker students will have the opportunity to practise their English or refer to if they are weak in Maths,” he said. The reason average students were chosen, Raveendra said, was because more advanced students would get bored with the REP curriculum. “Moving forward, we want more students to come forward to become mentors, so they can upskill themselves. “This would trigger self-improvement along the way,” he said. Deputy Education Minister Datuk P Kamalanathan who was present at the appointment ceremony of the mentors and the symbolic handover of REP modules to schools, applauded Rimbun for its efforts. You are currently browsing the archives for the Effective Teaching and Learning category.